It’s raining confidential data on the Dark Net. It seems that every few days someone is offering data on there that wouldn’t be available otherwise. 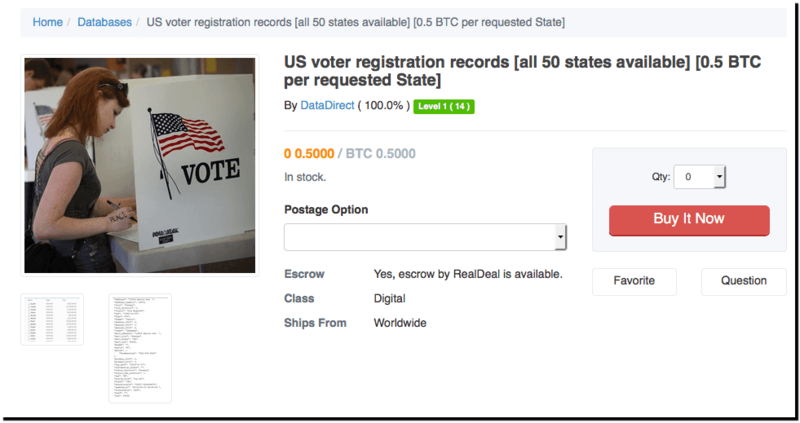 Recently, we discovered a seller going by the online handle of ”DataDirect” is claiming to have full access to voter registration records of the citizens of the United States and offering buyers state by state voters’ records where the price for each state is 0.5 BTC (340.38 US Dollar). A hacker is selling US voters’ registration records on the Dark Net and looks like the U.S. Election Assistance Commission (EAC) has no clue! Here are two screenshots shared by the seller showing sample data! 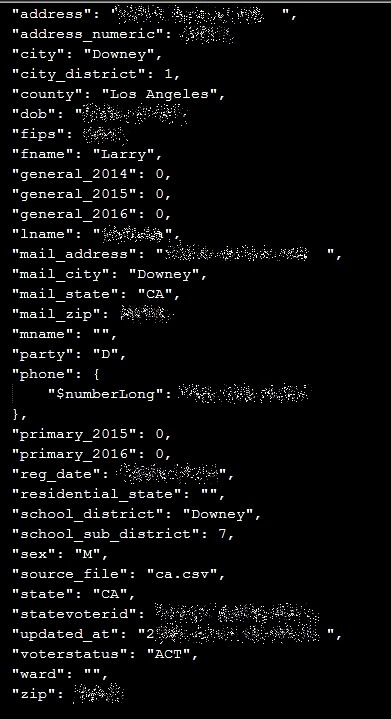 The first screenshot shows personal and voting details of a native from the State of California.In order to protect user’s privacy we have blurred the crucial information. 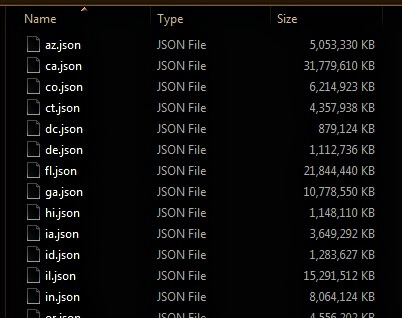 This screenshot shows state by state files in .JSON format where az stands for the state of Arizona and so on. The hacker claims to have access to voters’ data from all 50 states. By looking at the sample screenshots it seems the data is legit and if it really is, this is a massive blow to the U.S. Election Assistance Commission (EAC) and users themselves. If scammers, Chinese, Russian hackers or anyone else for that matter got access to this database you can expect a cyber 9/11 just like the ex-NSA chief claimed a couple of years ago.